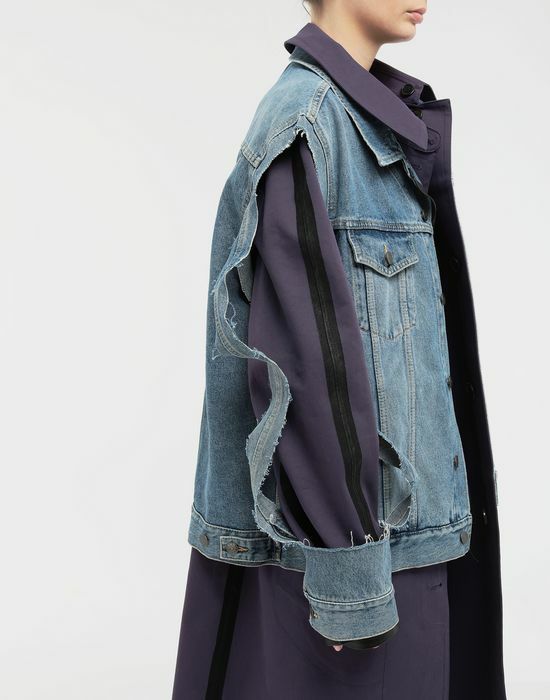 A reworked rendition of a men’s overcoat, this coat is fused with a bonded twill coat and half of a 'décortiqué', cut-out denim jacket. 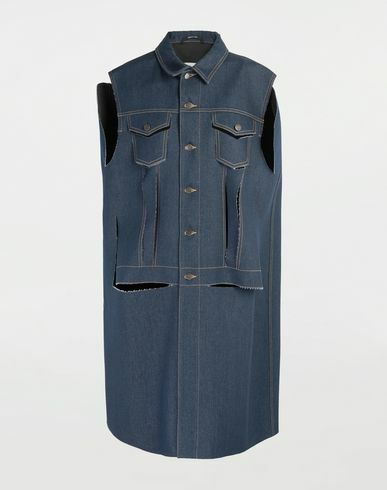 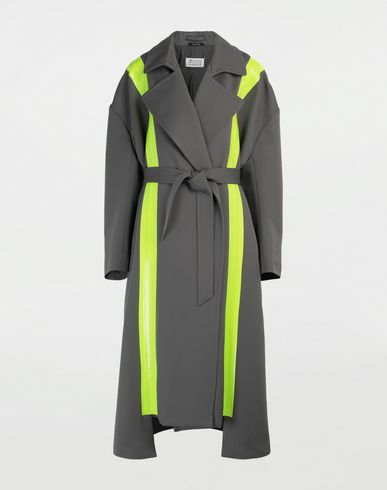 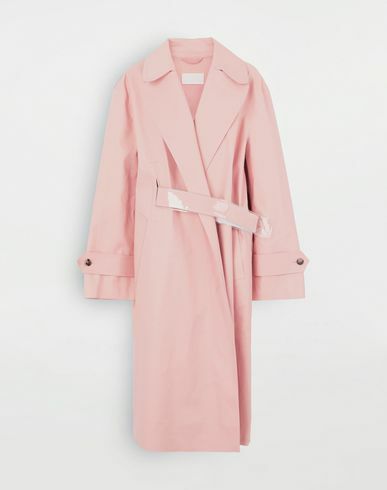 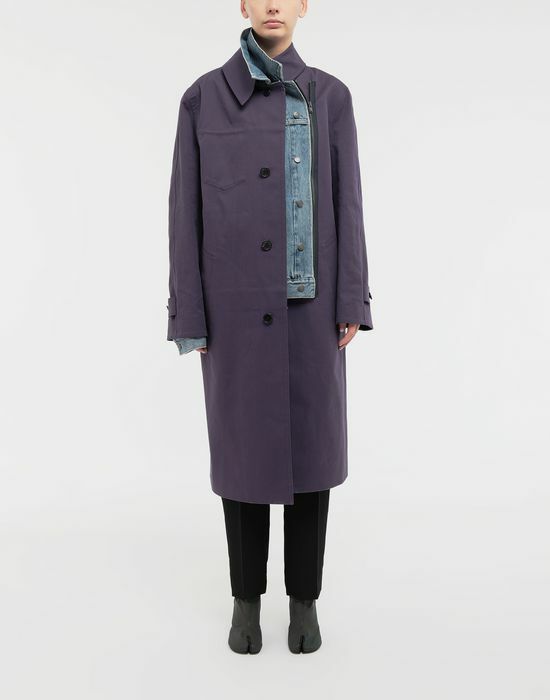 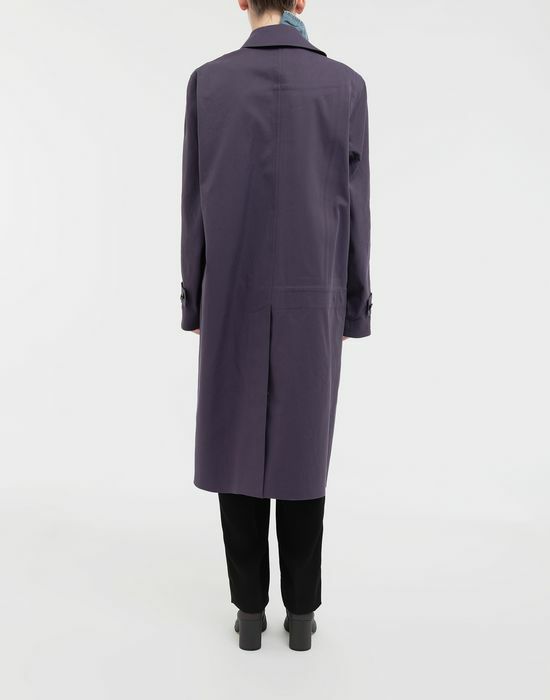 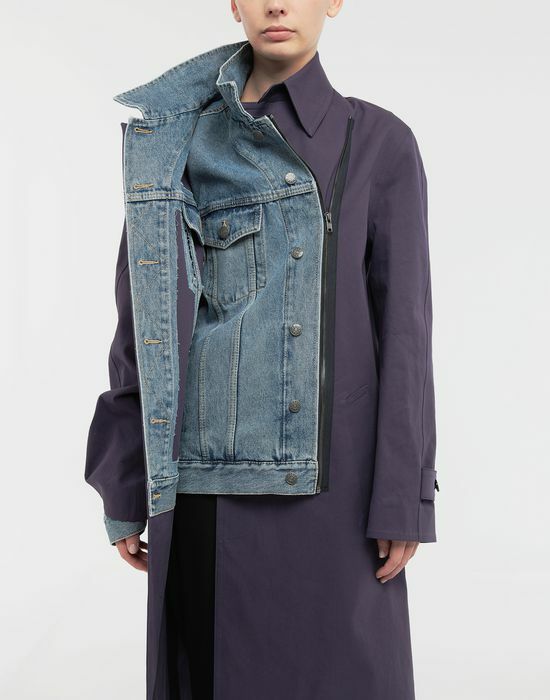 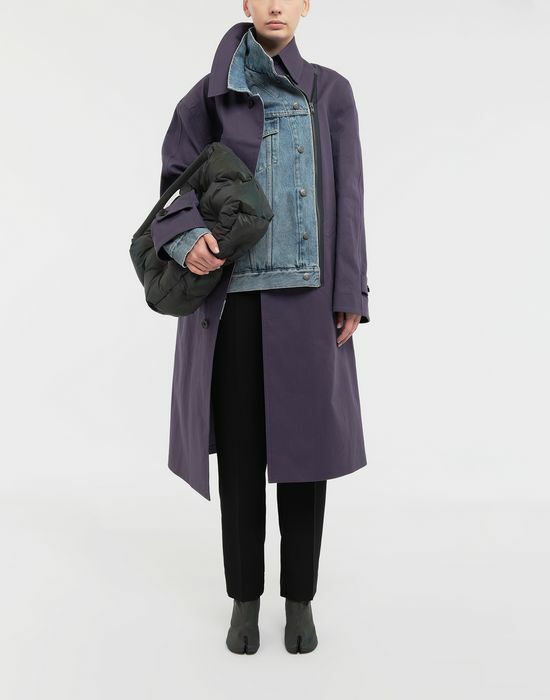 The coat reaches mid-calf, whilst the half denim jacket is cropped at the hip. 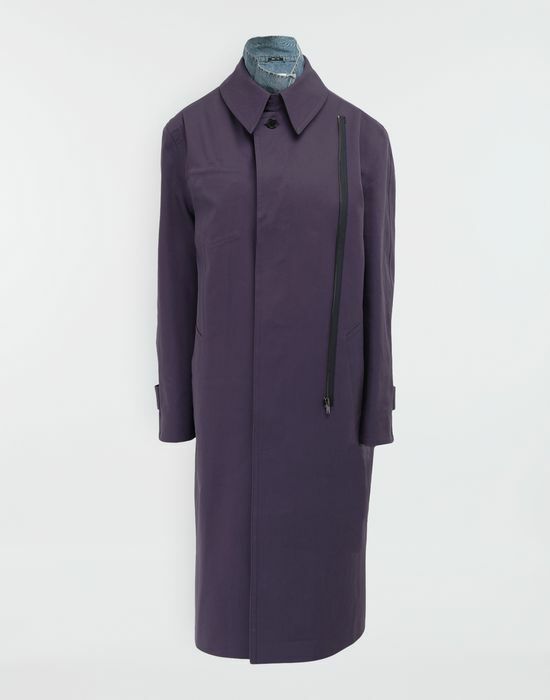 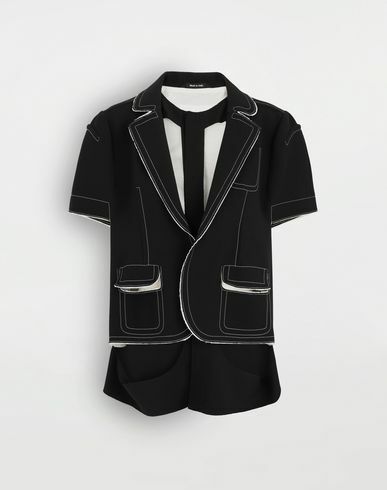 This modern interpretation of outerwear is a statement piece, with a double upright collar on the side.